FOLLOWING GUIDELINES issued by the Sentencing Council, individuals facing a charge of gross negligence manslaughter following a work-related death are likely to face tougher penalties than ever before. Gross negligence manslaughter is being considered by prosecutors in the Grenfell Tower fire, which killed 72 people last year, and Hillsborough match commander, David Duckenfield, was recently charged with gross negligence manslaughter for the death of 95 fans - putting the offence under even closer examination. The guidelines hit the headlines for their relevance to these high-profile cases, but will also be under scrutiny for their implications in health and safety cases. Just over two years ago, we saw the introduction of new guidelines for the fines and penalties for corporate manslaughter and health and safety related offences. It is fair to say that there has been a seismic increase in the level of fines handed down for health and safety offences since, with penalties sometimes reaching the millions. Gross negligence manslaughter was excluded in 2016, but the new guidelines for workplace cases will see a more punitive approach to these sentences moving forward. Manslaughter is a complex and wide-ranging offence where custodial sentences vary considerably. Under the new guidelines, which will be effective for all sentences passed from 1st November 2018, individuals could serve at least 18 years for gross negligence manslaughter; committed by an individual whose gross breach of a duty of care causes or materially contributes to a death. The guidelines set out four levels of culpability, from ‘low’ to ‘very high’, each of which leads to a different starting point for imprisonment. The starting points are 12, eight, four and two years for culpabilities of ‘very high’, ‘high’, ‘medium’ and ‘low’, respectively. Other aggravating or mitigating factors will then be considered to adjust those sentences within a specified range around each starting point. For example, the ‘very high’ range is 10 to 18 years, and a person will move up the range if more than one person was put at risk or if they wrongly seek to blame others. In many cases the evidence is not clear cut, so it is entirely possible that a defence strategy would be to apportion blame elsewhere in order for the court to determine all the facts, which could be problematic if convicted. The judge will have a number of factors to consider in their determination of the correct category of culpability. For example, the offender would have to show that they were not aware that the breach could cause death, or that the breach had not persisted for weeks or months, or that they did not have a leading role to play in the work. The stark reality in many workplace deaths is that the breach has lasted for some weeks - if not months - and it would be a difficult argument to persuade a judge that an offender was unaware that getting safety wrong could be fatal. In these cases, the presumption is likely to be a ‘high’ level of culpability. There is also the threat that an offender may be deemed to have ‘very high’ culpability if more than one feature of ‘high’ is evidenced. Taking the examples above, an awareness of the risk of death and that a breach had persisted are both features of ‘high’ culpability. The combination of both of these can take the offence into the ‘very high’ category, with a starting point of 12 years imprisonment and a range of 10 to 18 years. Any evidence of placing profit before safety would inevitably be pitched at a ‘very high’ category. BLM research shows that since the introduction of the new Health and Safety Sentencing Guidelines in February 2016, penalties for health and safety offences have seismically increased. The findings put organisational safety into sharp focus in light of recent further guidance from the Sentencing Council, which will see increases to prison sentences for individuals convicted of gross negligence manslaughter offences. According to BLM’s Health and Safety Sentencing Tracker, an industry benchmark of penalties and offences, the ten largest stand-alone fines since 2016 have totalled £28.6 million. The greatest fines were handed down to companies in the construction & property, transport & logistics, food manufacturing, leisure & hospitality, chemicals and care industries; eight involved fatalities. It builds upon research conducted by the firm in 2017 which found companies across the UK were forced to pay out over £61 million in health and safety fines in the first twelve months since the guidelines were in operation. The 2016 guidelines introduced for health and safety, food hygiene and corporate manslaughter offences require the courts to consider culpability, the seriousness and likelihood of harm caused or posed together with turnover not profits of a business. This means that a business with a turnover in excess of £50 million can face fines of up to £10 million for offences, whilst corporate manslaughter charges can bring fines reaching £20 million. 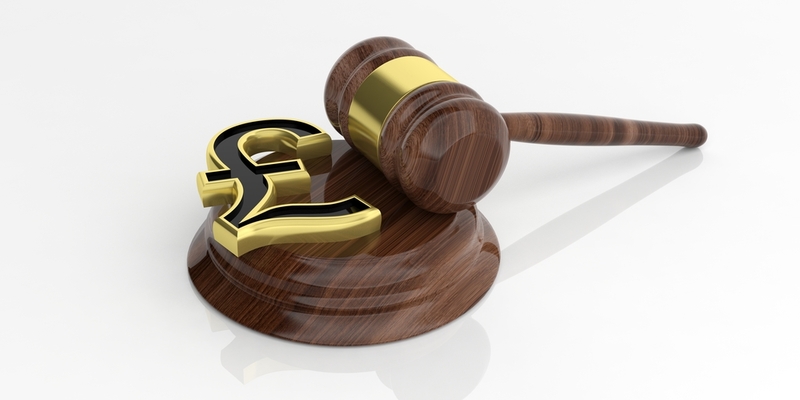 The penalties, including the large fines we have witnessed are a stark reminder to UK businesses that with even near misses subject to review and potentially prosecution, health and safety needs to be a board-level priority, to protect employees and prevent devastating fines. Directors, managers and individuals whose activities affect the health, safety and welfare of employees and others need to be aware of these changes. Significantly, the sentences are retrospective, so will apply to all cases heard before the courts after 1 November, irrespective of the date of offence. More than ever before, safety should be a board-level priority for businesses, and these guidelines send another stark message of zero tolerance for workplace deaths.